We finally did it. We ventured out into the world with Zhining. She had been wanting to have lunch in Chinatown for a few months, and, last Saturday, the timing finally worked. Her daughter, Lily, had a dentist appointment at 11:00, and we drove in to meet them for lunch at China Pearl (she finally had to write the name of the restaurant down for me to understand what “China Puhl” was). I’ve never had a culinary experience quite like this. Zhining ordered everything from the carts that were pushed past our table. I still have no idea exactly what we ate. There were noodles, dumplings, mushrooms filled with something or another, some sort of Chinese potato that I din’t think actually had any potato in it. 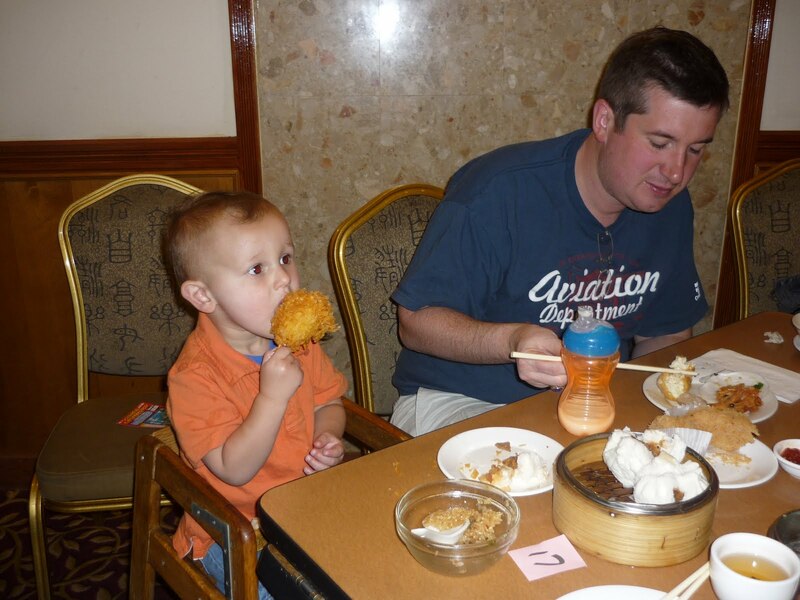 Robbie was in heaven, shoveling rice and dumpling into his mouth as fast as he could. Of course, he knew the “real” names for all of the food and kept asking for more. As the meal started to wrap up, Justin told Zhining that he would like to pay for everyone’s lunch to thank her for everything she does. Zhining stood up, grabbed her purse and the check, and bolted to the cashier. She was having nothing to do with anyone paying for lunch. Justin and I just stared at each other, dumbfounded. I don’t think we’d ever seen anything like it.